Located on it’s own hill behind the legendary Beverly Hills Hotel, it was designed by Gordon Kaufman and built by banking executive Milton Getz. 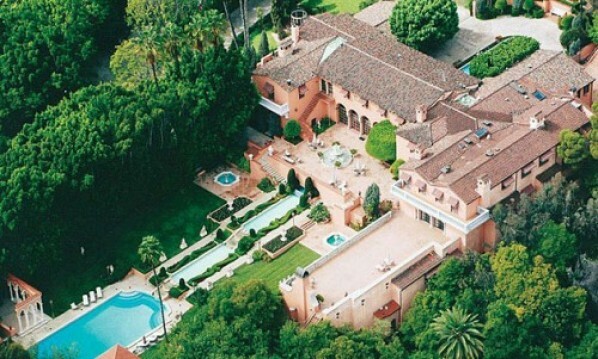 Later it was the love nest for newspaper magnate William Randolf Hearst and his actress girlfriend, Marion Davies. John and Jackie Kennedy honeymooned there. This entry was posted on Monday, November 15th, 2010 at 12:41 am	and is filed under notable homes. You can follow any responses to this entry through the RSS 2.0 feed.